Shirley Sherwood Gallery of Botanical Art is located within the grounds of the Royal Botanic Garden at Kew. It is the first art gallery in the world DEDICATED to botanical art. 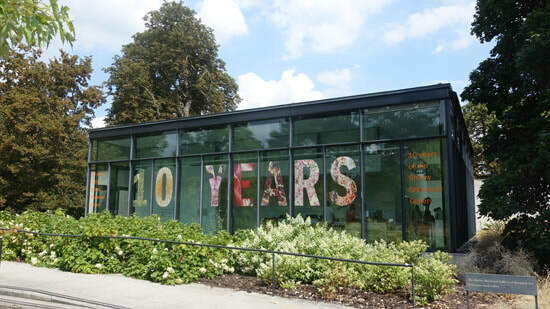 ​The Shirley Sherwood Gallery celebrated its 10th anniversary in April 2018 and the 1,000,000 visitor arrived in the summer of 2018. ​Current or upcoming exhibitions are listed below. The Shirley Sherwood Gallery of Contemporary Botanical Art celebrated its 10th anniversary in 2018 - and welcomes its 1,000,000th visitor too! a summary of PAST EXHIBITIONS at the Gallery. This includes links to reviews and images of the exhibitions. This is a summary of exhibitions at the Shirley Sherwood Gallery of Botanical Art at Kew - see below for more details. Exotica - A diverse art collection of beautifully unusual tropical plants which are exotic and different. Many of the plants can be found growing somewhere at Kew but often originate in the southern hemisphere tropics. The exhibition's paintings were mostly created in the subject plant’s native country although some specimens were drawn in the glasshouses here at Kew. Exotica are defined as interesting, unusual objects seen in unfamiliar surroundings, far away from their distant countries of origin. Come and see our stunning new collection of around 30 paintings, depicting waterlilies, lotus, water hyacinth, passion flowers and more. ​The Images of Nature Gallery has a temporary themed exhibition each year. ​There are usually four rotations of artworks and illustrations during the course of the exhibition. Tickets: FREE to the public every day. For centuries, scientists and artists have embarked on a succession of expeditions to document the natural world. The observations of flora and fauna made by the artists on these voyages of natural history have contributed greatly to our understanding of nature. Some of these artworks can now be explored in this exhibition. artworks from Captain Cook's Endeavour voyage (1768-1771), with illustrations from the Society Islands (Tahiti), Australia, New Zealand and Java, Indonesia by Sydney Parkinson, Alexander Buchan and Herman Spöring. Botanical specimens collected by Joseph Banks and Daniel Solander are also on display. This year marks 250 years since the voyage departed England on 25 August 1768. The Lindley Library only offers a small space - but it holds regular exhibitions of botanical art, some of which then tour the country to appropriate venues - including displays within the gardens - at the RHS Gardens around the country. The Garden Museum reopened in 2017 after a £7.5 million restoration project. It's held on botanical art exhibition to date (see archive) and can be expected to do so again in future. 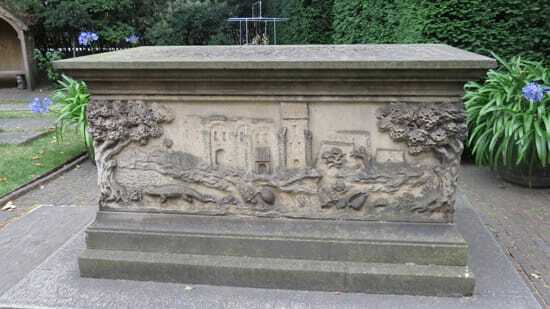 ​The Garden Museum, housed in the ancient church of St Mary at Lambeth is also the burial place of John Tradescant (c1570 – 1638), the first great gardener and plant-hunter in British history. His tomb is the centrepiece of a knot garden planted with the flowers which grew in his London garden four centuries ago. a keen botanist and watercolourist, her watercolour paintings are accompanied by notes delving into the history of her subjects, paying tribute to the famous plant hunters and explorers of the past. All works are watercolour and ink on either an off-white Nepalese paper, or a Japanese kind made from the bark of a tree called Broussonetia papyrifera. The Queens Gallery periodically displays botanical paintings which form part of the Royal Collection. The Fitzwilliam Museum has an important collection of Botanical Art due to the bequest of Henry Rogers Broughton, 2nd Lord Fairhaven, who donated his entire collection to the Museum in 1973. ​(See Permanent Collections) Every three years, as part of the terms of the bequest, the Fitzwilliam puts on an exhibition of botanical watercolours. The Ashmolean periodically has exhibitions of botanical art. ​See also Permanent Collections.